Take a look at this new coupon from Hallmark! 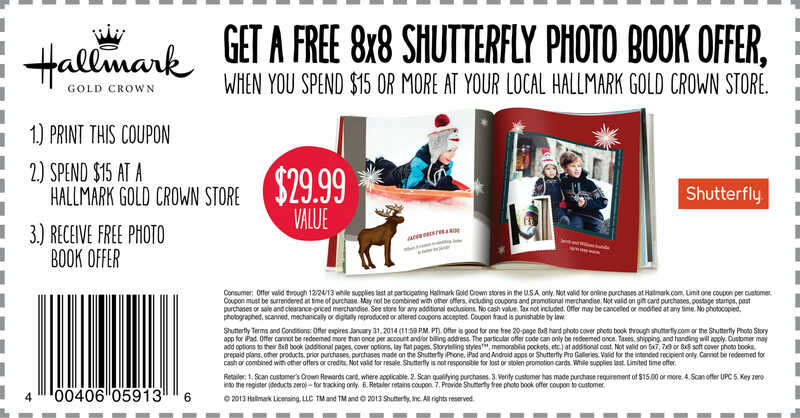 When you spend $15 or more at your local Hallmark Gold Crown Store, you can get a free 8×8 Shutterfly Photobook ($29.99 value). This offer is good through January 31, 2014, while supplies last! « Dave Ramsey Envelope Systems From $9! I am having a hard time finding the right place to order my free Shutterfly 8X8 photo book. I have the code number but don’t know where to go. Just go to Shutterfly and log into your account. You should be able to enter the code there.